Be sure to park your car on high ground before the approaching hurricane. Record winds and rainfall may cause flooding in many areas that may not have never flooded before. If, in the unfortunate case that your car does have flood damage, we keep it from ruining your interior. Even if you let your car dry out completely, bacteria and mold will begin to grow and cause the car to smell. 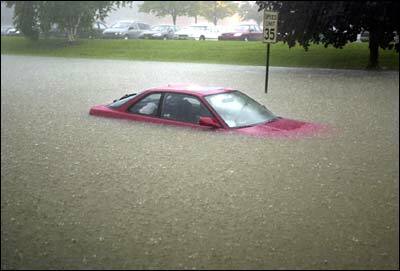 Bring your car to Rick’s after flood damage and we will take apart the seats, take out the carpet, replace the insulation, and more. By coating these areas with bacterial disinfectant we can can prevent the growth of mold or bacteria that will eventually cause the car to smell.